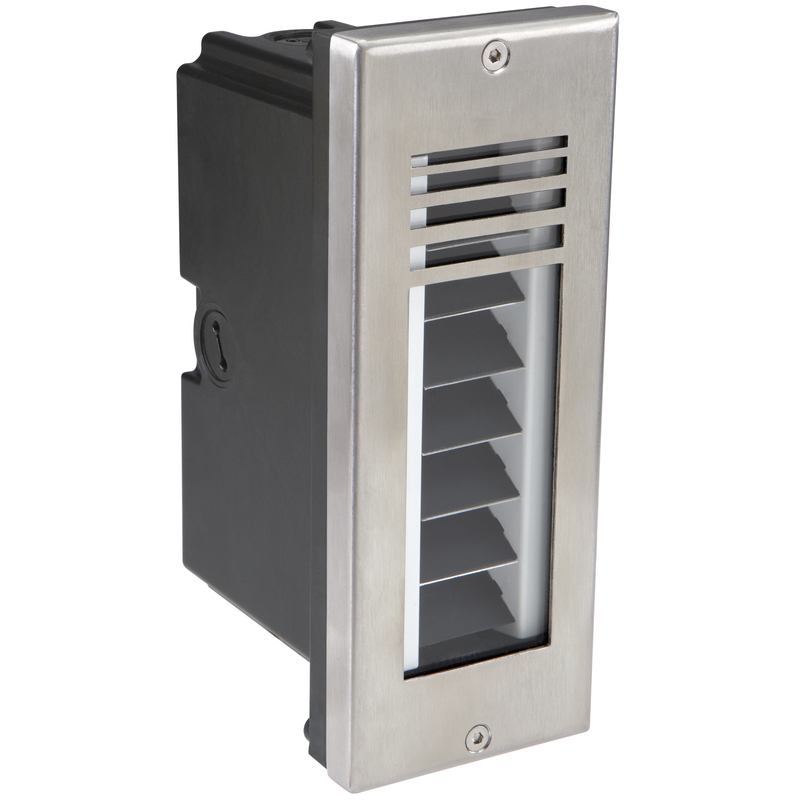 The 1504-SL2 Vertical Step Light with stainless louver features sharp cut-off LED optics for precise, balanced illumination without glare. To facilitate performance, individual reflectors featuring a highly specular lighting sheet and an aluminum frame painted white encase each six-up LED configuration. The assembly is mounted into a standard Vista POP mounting frame. The modular LED design eases installation and the housings are fully sealed to prevent moisture penetration. Several louver designs and door options - including sheer glass, stainless steel and brass - are available to aesthetically enhance functionality.